Popular movies and televisions shows give the impression that the job of the father of the bride in a wedding is ultimately about making sure the festivities are adequately funded. In the movies, fathers fret about the costs of everything from flowers to photos. But gone are the days when the father of the bride bankrolls his daughter’s entire wedding. The Knot’s “2014 Real Wedding Survey” reported that, on average, the bride’s parents contribute 43 percent of the total cost of a wedding; the bride and groom contribute another 43 percent; the groom's parents spend 12 percent; the remaining 2 percent of the budget is paid for by family members or friends. That frees up Dad for other roles in wedding planning. With some creativity, couples can find ways to incorporate the father of the bride into the festivities in even more productive ways. • Wedding sites: Assign dear old dad the important task of looking at potential wedding reception sites prior to visiting them yourself. He may have certain connections through work or attended business or leisure occasions at catering halls and other venues. Dad’s connections can pay off. Let him impart his negotiating skills and find the best deals with the ideal backdrop for the festivities. • Wardrobe: Let your father assist the best man and other groomsmen in securing their tuxedos or other wardrobe essentials. Dad also can step in and return rented items following the wedding. • Beverages: Dad may be fitting to keep tabs on what is occurring at the bar during the reception, ensuring that guests’ needs are being met. He also can keep an eagle eye trained on anyone who may have overindulged and needs to take a break. • Speech: Give your father an opportunity to shine by letting him make a speech. Remember, this is a momentous day for Dad as well, as he may be trying to come to terms with his daughter starting a new life. • Ceremony: Even if you prefer a less traditional wedding ceremony, let your father walk you down the aisle. This will likely be a moment he’ll remember for years to come. 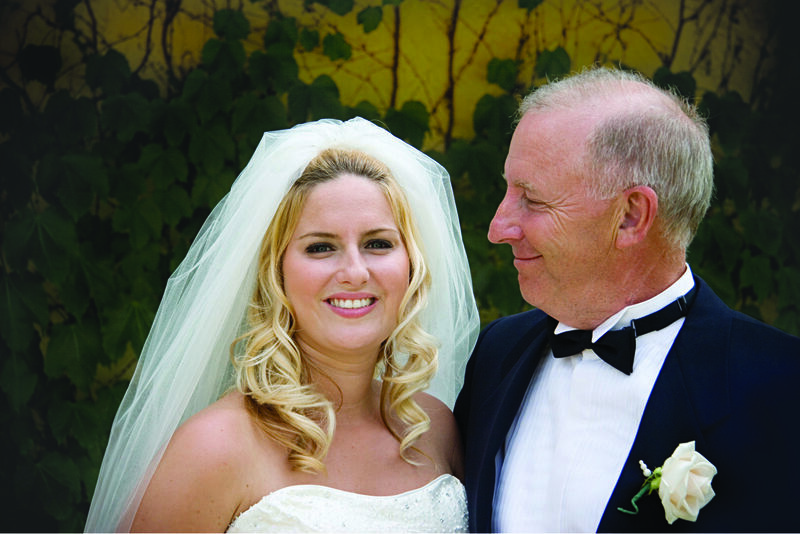 Expand the father of the bride’s role in the wedding by assigning him tasks where he can put his style, experience and excitement to good use.